I am not sure if I am now officially in love with Kate Atkinson, or Jackson Brodie (or both! 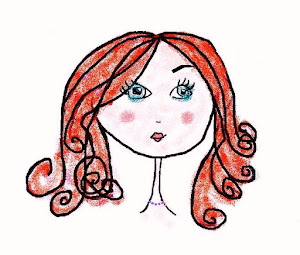 ), but I simply can't get enough of her novels. 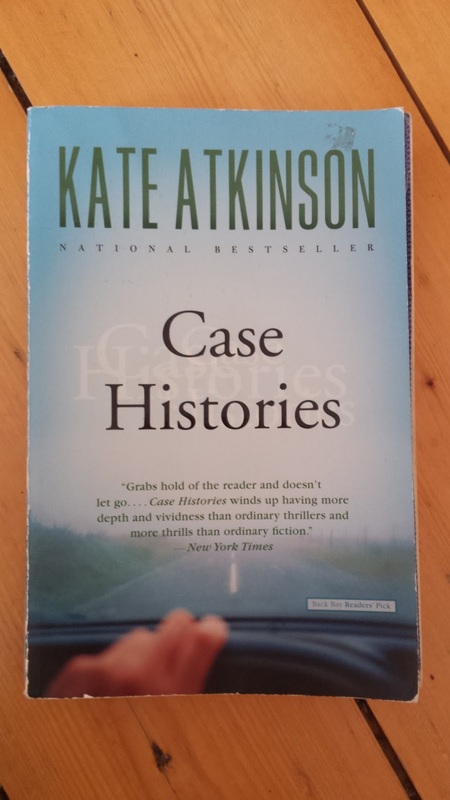 'Case Histories', I am delighted to learn, is the first in a series of novels which revolve around the ex-soldier, ex-police inspector, private-eye, Jackson Brodie. While Jackson is Yorkshire through and through, a tough guy, certainly; he still manages to weep on numerous occasions in the novel, and in a way is every bit as fragile as the many of the victimised women and girls that populate its pages. His marriage is in ruins, his eight year old daughter is already rebelling against him, his secretary is openly antagonistic towards him and even his dentist seems out to torture him. But all of this chaos merely makes Brodie even more attractive as a central character: we feel sympathy for the man whose life is falling apart, while he spends his life trying to put other people's lives back together again. There is a poetry in this. He can't seem to help himself. As the title says, this novel deals with a series of cases that Jackson tries to solve, including one involving the murder of his own sister, Niamh. And I suppose, this is why we instinctively trust Jackson; we know that he will prove to be a great detective because he understands suffering; he lost a sister of his own and is haunted by that memory. Of course, like Darcy, Rochester, and other great romantic heroes who have gone before him, Brodie is a tormented, brooding, loner, who has difficulty communicating his feelings with the women in his life - he would much rather buy them a bag of chips, wrap them in a warm blanket or find their lost kitten, to show he cares; or, with men, speak with his fists (especially to David Lastingham, his fiancé) or just say nothing at all. He is an all round do-gooder (but not in a 'men in tights' kind of way), who'd give you his last tenner for a cab ride home, just to make sure you got there safely, while he takes the bus, in the rain. For Jackson Brodie, you say it with a cup of tea rather than flowers. Of course, the intertwining plots are captivating, just what we have come to expect from Atkinson. There are mysteries, twists and complications, that endlessly delight the reader. It is all here; a beautifully written novel whose narrative brings us inside the heads of a myriad of unforgettable characters, each with a unique, individual voice: there are no stereotypes. each character is as real as the next. But for me, the appeal is anchored around the compelling character of Jackson Brodie, whose strength is in his vulnerability. We are presented with a collection of mothers, brothers, husbands and sisters who have 'lost-girls' in their lives. And while Jackson, and Theo, whose daughter was murdered by a yellow-jumpered mystery killer, agonize over the vulnerability of women, it is actually this fear and anxiety which cripples Jackson; this is what makes him so vulnerable. It is his love for his daughter, his sister, old widows and homeless orphans, that is his Achilles' heel. No need for Kryptonite here, a damsel in distress will bring Jackson to his knees every time. There is some comfort for (female?) readers in that: would Jackson come to our rescue if we needed him? He surely would, if he could climb out of the pages of the book and if he wasn't actually a mere fabrication, devised by Kate Atkinson to delight readers (and herself). 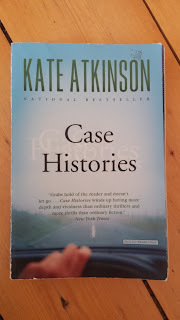 But let's suspend our disbelief, because, as I say, I am quite in a mind to be in love with Jackson Brodie (at least for the duration of this latest book affair) and to declare that Kate Atkinson is an author to love. You feel as safe in Atkinson's hands as we imagine we would feel in Jackson's. Now there's an image for you!